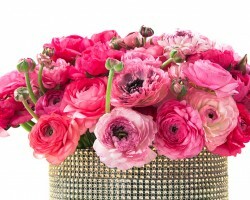 For over 15 years now P.V florists has been proudly serving Scottsdale and its surrounding areas. As a local family owned and operated business, P.V Florists understands the divergent needs of clients. Additionally, the business offers a convenient online shopping experience through its website. In this regard, customers can make orders 24 hours a day 7 days a week. The shop’s highly trained team of florists is always available to help customers make flower deliveries throughout Arizona. 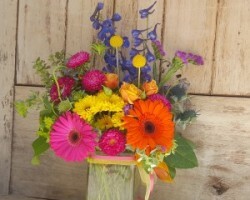 Also, the shop offers daily delivery of flowers at affordable rates. From a humble beginning in 1999, Flora Bell has grown into one of the most trusted names in the Scottsdale florist industry. At the center of the company’s successes are its exceptional execution and unique approach to flowers delivery in Scottsdale. Rob Hudachek, the brilliant floral mastermind behind Flora Bella, has a wealth of experience in floral designs. 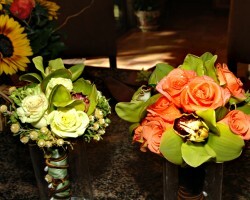 The company’s team of creative florists adds to the company’s success in the floral design industry. All Flora Bella clients get direct attention and high-quality services. Gina Benedict is one of the best florists in Scottsdale, AZ, and she is continually proving why she's great at what she does. With an extensive list of previous satisfied clients, Gina can work with within small budgets. Through her floral business Fiori Floral Design, Gina has delivered elegantly designed flower arrangements for numerous weddings and parties. 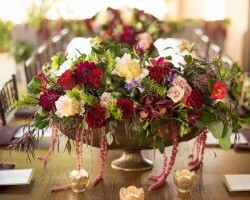 One of the best things about this professional florist is that she thrives on being creative and is always surpassing her clients’ expectations. From small soirees to grand banquets and weddings, there is no event too small or too big for Teonnas Floral Design. This Scottsdale-based flower shop specializes in the design of unique and elegant flower bouquets. The shop’s florists use a blend of contemporary and traditional floral designs to help clients express their desires and preferences. As a versatile flower shop, Teonnas Floral design caters to all kinds of clients, from couples to corporate events. This shop has a beautiful selection of wedding flowers for customers to choose from. 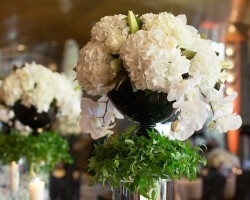 In a span of just 10 years, Your Event Florists has grown into one of the most recognizable flower shops in Scottsdale. Owned by Shawna and Kevin Reed, this floral shop offers elegantly floral designs for weddings, corporate events, and other celebrations. The two co-owners of this business are a husband and wife duo who’s committed to the success of their business. Towards this end, Shawna is the business mind while Kevin is the creative. Kevin boasts of 10 years experience as a florist. The shop’s dedication to customer satisfaction is evident from the many reviews that it has garnered online.